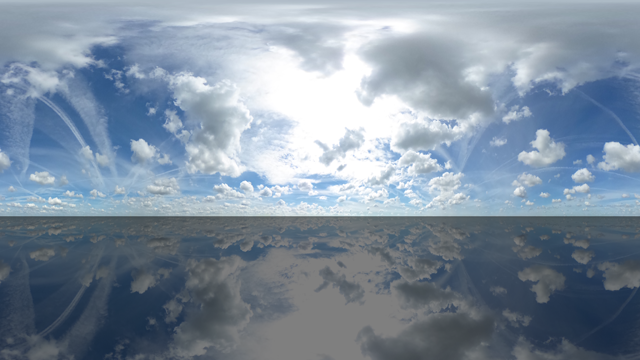 The clouds in the above screenshot are rendered with a skybox layer. 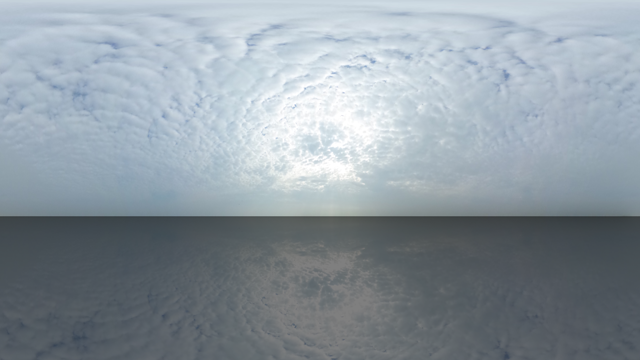 What can I do with the skybox layer? 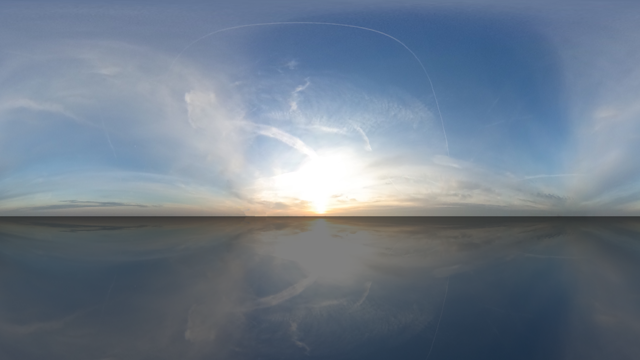 With the skybox layer you can render 360° backgrounds. 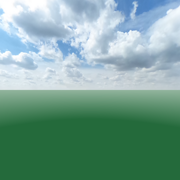 How do I create a skybox layer? 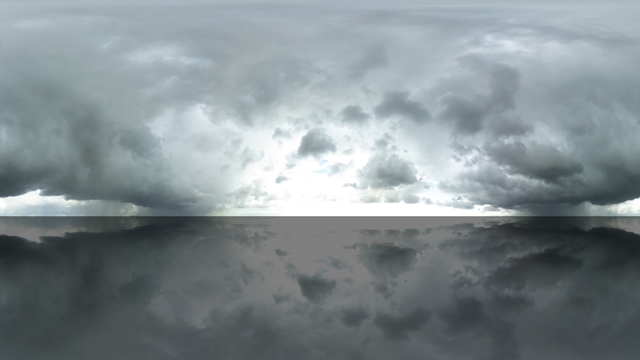 Choose LAYER > Add layer > Add skybox layer... to create a new skybox layer. 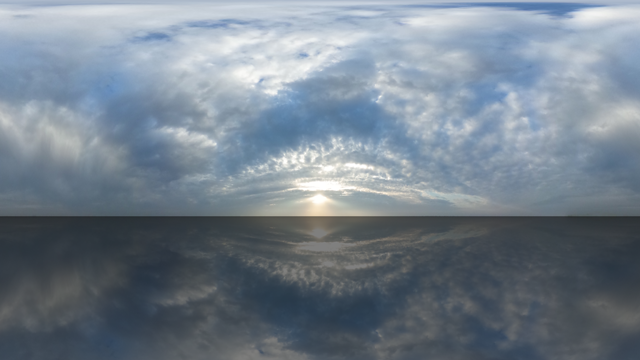 The new skybox layer can be selected from the layers dropdown to make it the active layer. 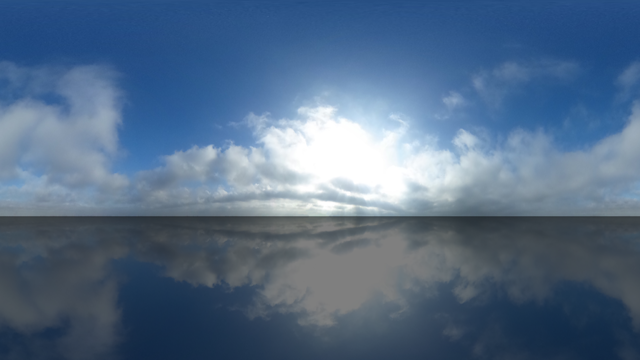 The installer comes with shows demonstrating the possibilities of the skybox layer. 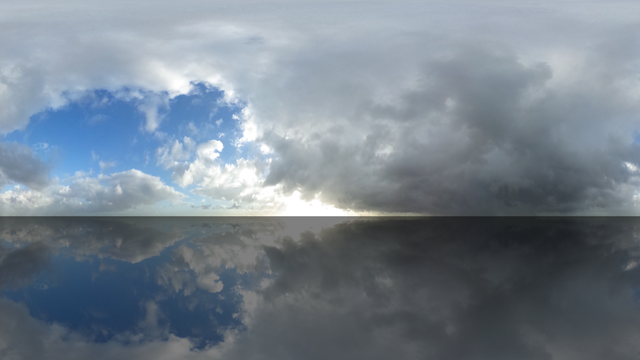 Choose FILE > Open show... and select a show from the BluffTitler/Media/Shows/Skybox folder. 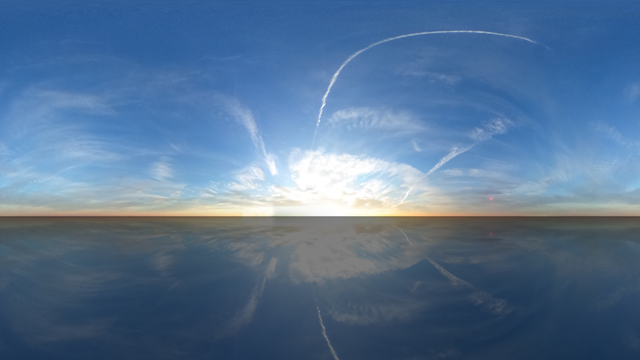 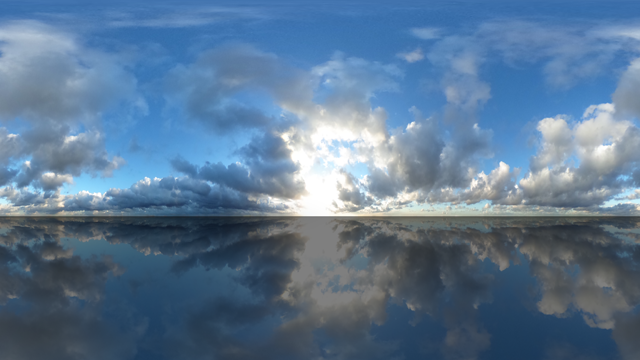 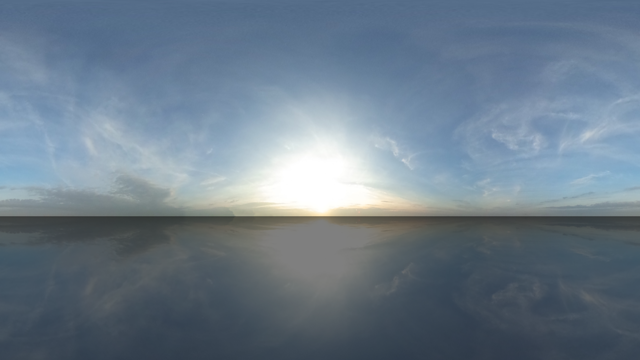 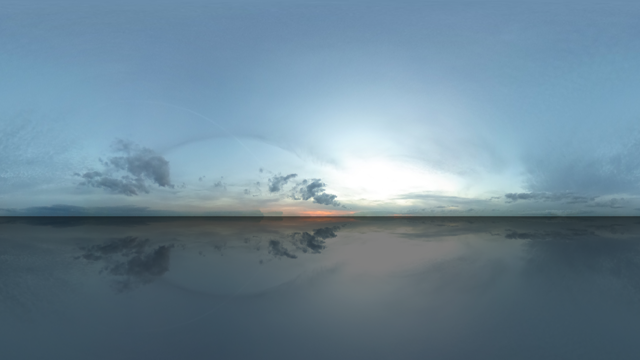 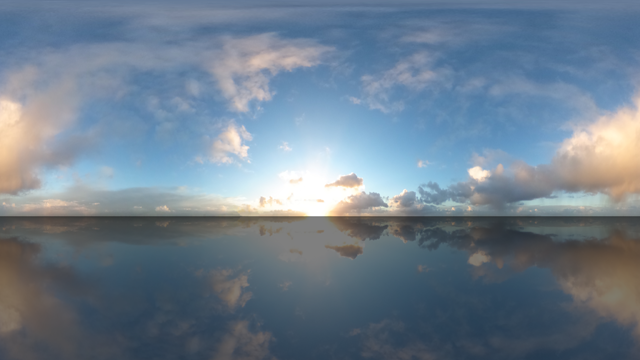 A skybox renders a 360° photo in the background. 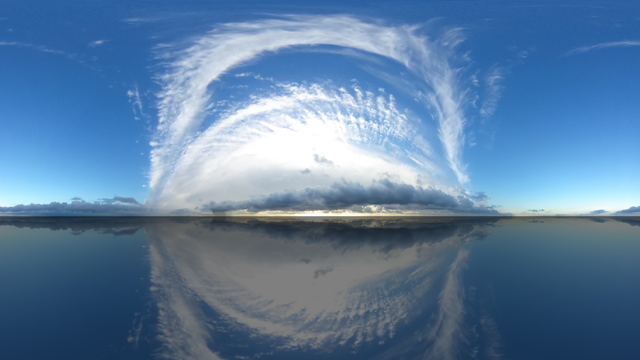 The photo must be an equirectangular colourmap or a DDS cubemap. 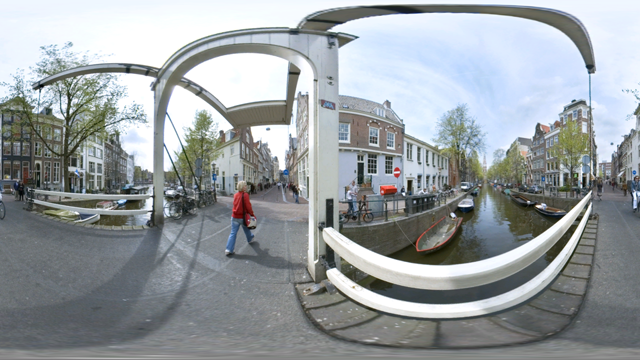 Both formats can be created by Bixorama. 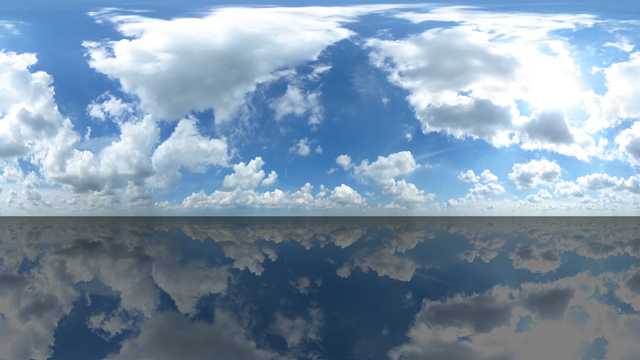 The skybox layer uses the same interface and has the same features as the picture layer, only it defaults to the skybox style. 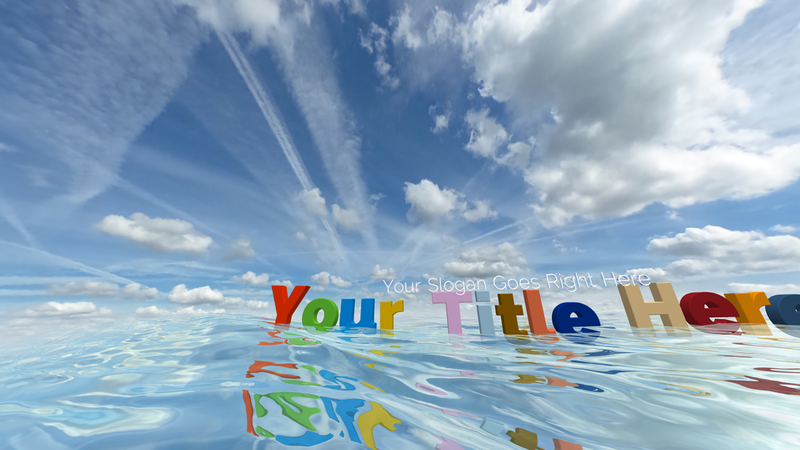 Visit the picture layer page for more information. 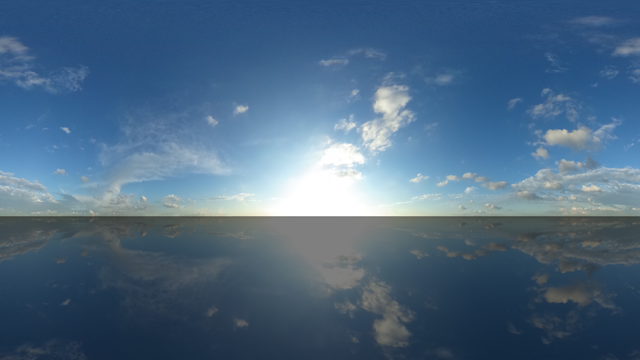 The Effects/Picture/Skybox effect works great in the skybox layer. 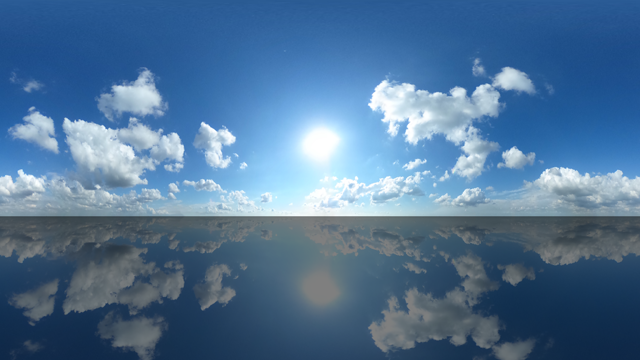 Set the FX Mirror Sky property to 1 to mirror the sky. Use the FX Fog properties to add fog. 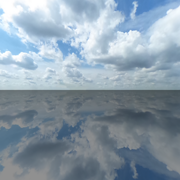 Use the FX Blur property to blur the sky and/or the mirror. 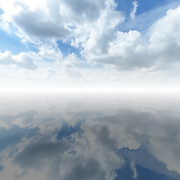 Use the FX Ground properties to colour the ground. 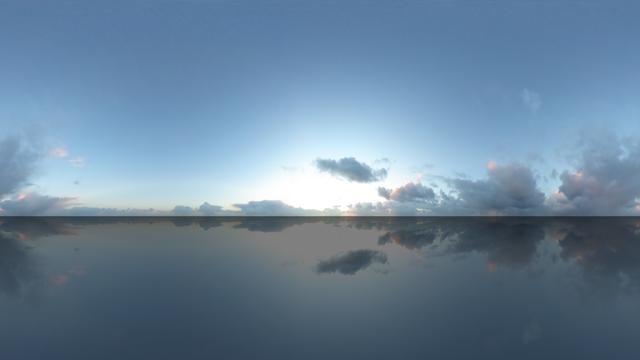 Change the lighting levels with the FX Lighting levels property.